Limited edition signed and numbered giclee on canvas. Gallery-wrapped, ready to hang. Special edition commemorating the nationwide Godard Heist event, where fifteen mystery pieces are unveiled from a locked case. 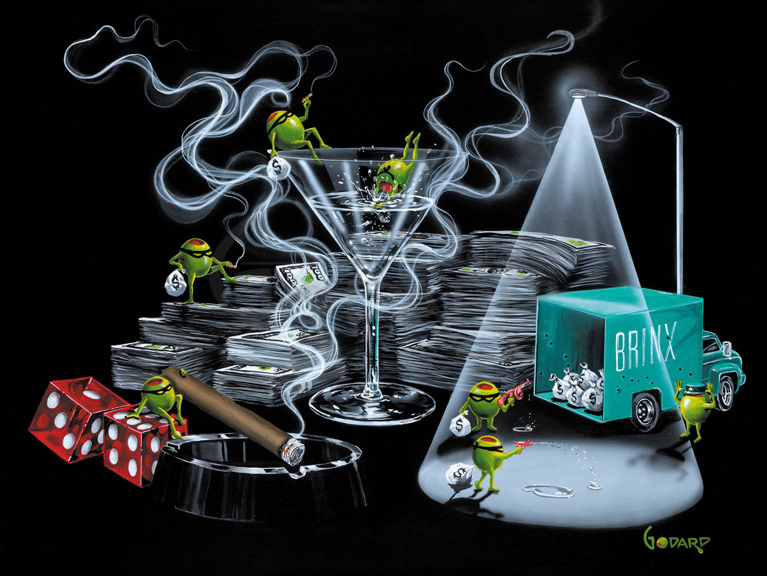 Limited edition signed and numbered Godard edition giclee on canvas.